This is a situation that many of us face when dealing with customers on the phone when for whatever reason, the company you are working for just hasn’t got it right. Micah Solomon’s article below provides some good guidance on apologising to customers without throwing your staff under the bus. So what is Customer Service Recovery? It’s the ability to recover from a mishap with a client, to recover so successfully that you actually may improve relations with that client. This involves several steps which I’ll recap here briefly. 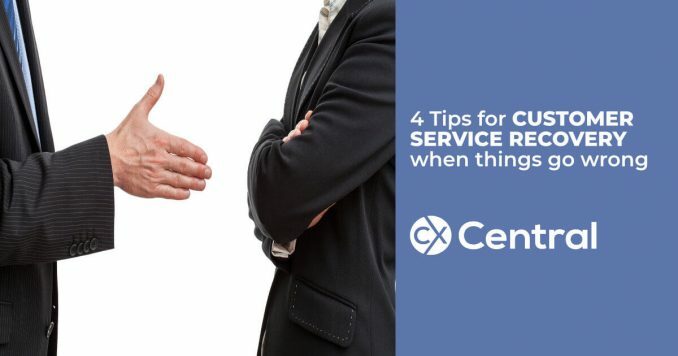 2. Review the complaint with your customer: turn your customers, in other words, into your customer service consultants, letting them explain what’s gone wrong in the customer experience in the customers view and what you should do to fix it. A great apology is emotional, sincere (or sincere sounding), and unequivocal. The key to an effective apology is to convey to the customer at the outset that youre willing to take her side and share her viewpoint. This is a natural employee reaction, assuming you havent inoculated your staff ahead of time. Which you should be sure to do. The onus is on the manager here to preemptively convey to employees that whoever speaks with an upset customer is going to empathise with and even amplify the customers side of the story, during that important conversation. Because this is the first, and most important, step toward getting back on the right foot with a customer. Take time with your staff to explain that the customer may or may not be right in an objective sense. Regardless, whoever is speaking with the customer needs to convey complete, even disproportionate, sympathy with the customers viewpoint because the customer is our bossthe customer pays our pay-checks. Human nature being what it is, this explanation will bear repeating.